Today (Wednesday 27th May 2015) is World MS Day and More Than Mobility have been long – time supporters of this awareness event. Since its inception in 2009, World MS Day is now in 78 countries worldwide and has hundreds of thousands of members and is growing every year. World MS Day (#strongerthanMS) brings the worldwide multiple sclerosis community together to share experiences, raise awareness and provide help for the more than 2.3 million people around the world affected by multiple sclerosis. World MS Day is the only global awareness raising campaign for MS. The campaign theme for 2015 is all around Access e.g. access to diagnosis, treatment and support; access to buildings, travel and leisure facilities; and access to education, training and employment. Send a message – to a person or organisation that helps to make life easier for people with MS. Let them know how they help or inspire you. Find events close to you - Use this map to find World MS Day events, whether they’re happening on your street or on the other side of the world. More Than Mobility would like help any customers suffering with multiple sclerosis to manage their condition. We have a wide range of mobility products suited to those with MS including toileting aids like grab bars and the Elevated toilet seat. We also have moving and handling products to help you move safely our Up-easy seat assist which helps getting out of chairs, and the Orca Bath Lift which lifts a person into the bath. More Than Mobility’s New Online Video! Here at More Than Mobility we understand the difficulties of having a disability and how sometimes it can be awkward to click through a website. We want to make it easy for people to access the products they need and find out a bit more information about our company. We also want to make it even easier for you to view some of the mobility products and brands we stock and understand our company a little better, so we have created a neat little short video for you to view! 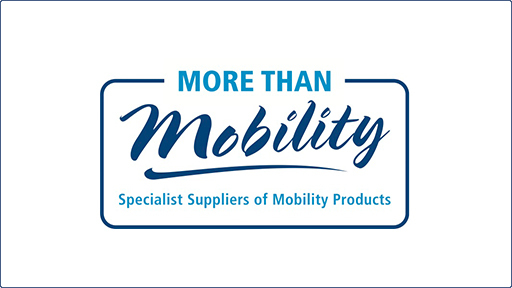 Watching this video will save you a lot of time in clicking through the whole website to find out which mobility products and brands we stock. Within two minutes you will know the range of mobility products and brands that we stock and you can Play, Rewind, and pause and come back later to finish watching. We have also added some nice background music to further enhance your experience with us, so sit back, relax and enjoy our new video. More Than Mobility and The Alzehimer’s Society would like to promote Dementia Awareness Week which is taking place this week (17th – 23rd May) and is highlighting the huge numbers of people with this illness who are living in care homes. Celebrity supporters are on board like Dame Judi Dench, Fiona Phillips and Robbie Savage. According to figures provided by The Alzheimer’s Society, over 80 per cent of people in care homes have dementia. There are 800,000 adults – some aged as young as 40 – living with dementia. However becoming forgetful does not necessarily mean that you have dementia as many of us notice that our memory becomes less reliable as we get older. Diagnosing dementia is often difficult, particularly in the early stages. The GP is the first person to consult. The GP may then refer the person being diagnosed to a specialist such as a consultant. Do visit the Alzheimer’s website for information regarding symptoms. Dementia can happen to anyone and there’s currently no cure. It can strip you of your memory, your relationships and your connection to the world you love, leaving you feeling isolated and alone. At The Alzheimer’s Society, they believe that life doesn’t end when dementia begins, and we should do everything we can to help people living with dementia hold onto their lives and the things they love for longer. We also believe it’s possible to do new things and have new experiences, too. And that’s what this year’s Dementia Awareness Week is all about. Do Something For Dementia Awareness Week! Campaign or Donate – The Alzheimer’s Society are asking people to make a £3 donation if they can. Just text NEW to 70660 to donate £3 to help people living with dementia. More Than Mobility would like to make the journey through dementia as easy as possible. Adaptations and improvements to the home may allow a person to stay at home for longer. We have a wide range of mobility products including wheelchairs, walking aids, bathing & toileting aids, moving and handling products and useful daily living aids to help make things easier for you or a family member and to allow them to live their life to the full. More Than Mobility supporting Stroke Awareness Month! More Than Mobility have been long supporters of The Stroke Association and this week marks the beginning of Stroke Awareness Month. Organisers, The Stroke Association and More Than Mobility are keen to raise awareness for this campaign and there are a whole range of services and documents available for you if you know somebody who has had a stroke or if you yourself are recovering from having a stroke. Visit the Talk Stroke page for support via a forum. It’s a place where you can meet other people affected by strokes, share stories and experiences and find out what has worked for others, providing each other with support and information. You can discuss the latest research, share fundraising ideas or how to get involved with campaigning. Alternatively if you require specific information you can call the stroke helpline on 0303 3033 100 or email info@stroke.org.uk. More Than Mobility would like to make your recovery from stroke as easy as possible, we stock a wide range of mobility products catered to recovering stroke patients. Visit the More Than Mobility website for Stairlifts and those crucial Daily Living Aids supporting you on the road to recovery. Today Marks World Asthma Day! More Than Mobility and G.I.N.A are proud to announce World Asthma Day on Tuesday 5th May 2015. More Than Mobility have been long supporters of this event as many of our customers struggle with Asthma or some kind of breathing difficulty. World Asthma Day is an annual event organized by the Global Initiative for Asthma (GINA) to improve asthma awareness and care around the world. World Asthma Day 2015 will again have the theme ”You Can Control Your Asthma”. Asthma is a condition that affects the airways – the small tubes that carry air in and out of the lungs. When a person with asthma comes into contact with something that irritates their airways (an asthma trigger), the muscles around the walls of the airways tighten. If you think you have asthma it is very important to make an appointment with your GP or an asthma nurse as soon as possible so they can discuss your symptoms, run through your medical history and do some tests. Asthma can be complex and can take time to diagnose. There is no definitive test. First, your GP or asthma nurse will ask you lots of questions about your personal and family history, your environment, your symptoms and your lifestyle to build up a good picture. Then they can assess how likely it is whether or not you have asthma. If you’ve just been diagnosed with asthma, you may have many questions. Asthma UK is here to help take you through your asthma journey, what asthma is, how it is treated and how to manage your asthma.